January 12: 5 POWER Lessons From 5 Leaders Who Made History On This DAY! Sometimes, the most valuable lessons of life come from people you never expected to learn from. Today might be one such day where you might learn some of the most important lessons for you to lead a better life from these great leaders of our history, who have been the reason to change lives, while they still live through these lessons! Born as Narendranath Dutta on 12 January 1863, Swami Vivekananda is considered one of the chief saints of India. The prime disciple of 19th century Indian mystic Ramakrishna Paramhansa, he reintroduced the Indian philosophies of Vedanta and Yoga to the Western world. Born in a noble Bengali family, Vivekananda espoused the path of spirituality early in life. Right from a young age, he was fascinated by ascetics and took to practicing meditation. However, life wouldn’t have been the same for this spiritual genius had he not met his mentor and guide – Sri Ramakrishna. Ramakrishna was the powerful force behind Vivekananda who channelized the commanding intellect and power of this young man to unite with God. The two shared an extraordinary bond amongst themselves which became one of the most unique guru-disciple relationships in the history. He travelled to the west, bearing Hindu philosophy and introducing Indian heritage, culture and philosophy to the West. Of his many lectures, the one in Chicago at the Parliament of the World's Religion is the most revered. With his speech that began with "Sisters and brothers of America", Swami Vivekananda earned a 2-minute standing ovation from the crowd of seven thousand. His speech is considered one of the greatest speeches of all time. It earned fame not only to him but to the entire nation. He defended Hinduism before the world audience and successfully revived the ancient wisdom these scriptures. The major works of Vivekananda includes Karma Yoga, Raj Yoga, Bhakti Yoga and Jnana Yoga. 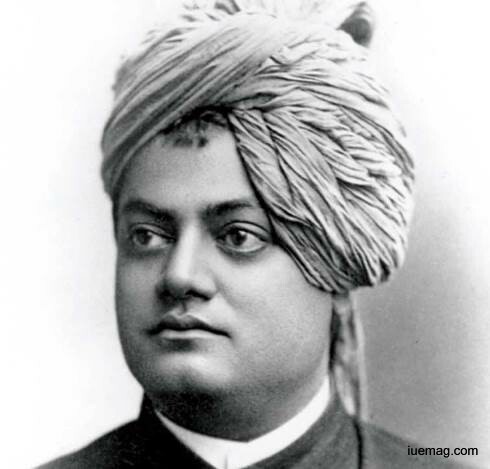 Vivekananda spent most of his life devoting for the betterment of mankind. He advocated the importance of secular and spiritual education, which he thought was the only way to enrich and inspire the life of the masses. Holden Roberto was an Angolan independence leader who founded the National Liberation Front of Angola (FNLA). One of the fathers of Angola’s independence and a major figure in the Cold War in Africa, he worked relentlessly in his pursuit of Angola’s freedom from the Portuguese colonialism. Angola had been ruled by the Portuguese for centuries and Roberto was one of the first men who struggled for the country’s total independence from the Portuguese. As a young man he was working for the Belgian Finance Ministry when he witnessed Portuguese officials abusing an elderly man. This injustice made him realize that it was high time Angolans fought for their freedom and dignity. This experience inspired him to enter politics and fight for the independence of Angola from Portuguese rule. Along with a friend Barros Necaca he founded the Union of Peoples of Northern Angola (UPNA) in 1956. It was later renamed as the Union of Peoples of Angola (UPA). He also became involved in underground activities and secretly travelled to Ghana to attend the ground-breaking All African People's Congress. 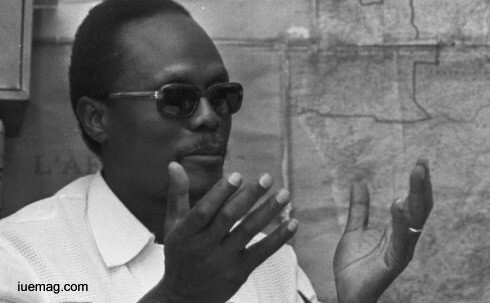 Upon his return to his homeland he became very active in politics and eventually founded the National Front for the Liberation of Angola, a militant right-wing organization which he led in the fight for Angolan independence from Portugal forces. He was one of the pioneers of national liberation struggle in Angola and is hailed as a hero for leading the country’s struggle for independence. 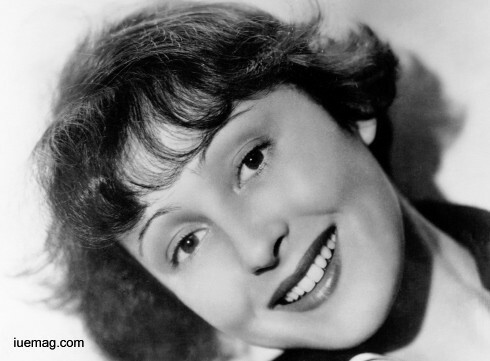 Luise Rainer was a German and American actress who rose to stardom in Hollywood during 1930s. She was the first actress to win two ‘Academy Awards’ as best actress that too consecutively. Quite an enthusiast about creative arts since childhood, she soon found an outlet to express her strikingly emotional energy in creativity. She started paintings and took dance lessons. Eventually she found acting as the medium to channelize her energy into creative pursuits and since her father was reticent about such things she travelled to Düsseldorf, with the excuse of visiting her mother. Her debut in stage happened at 16 when by sheer chance she played Wendla, as the original actress fell ill, in Wedekind's ‘Spring Awakening’ staged at the Dusseldorfer Schausspielhaus' School of Stage Art and impressed many as an untrained actress. Theatre personalities signed a two year contract with her and from 1928 she began performing at the ‘Dumont Theatre’ in Dusseldorf. In 1934, she was spotted by ‘MGM’ talent scout Phil Berg in one of the stage performances of ‘Six Characters in Search of an Author’. Soon she was signed into a three year contract in Hollywood. There she landed up the supporting role of Anna Held in ‘The Great Ziegfeld’. Her performance left the audience spellbound and fetched her first ‘Best Actress Academy Award’. She presented everyone with another breath-taking role of O-Lan, a simple and poor Chinese farm wife in drama film ‘The Good Earth’, which was completely in contrast to her portrayal of Anna Held. It won her a second ‘Best Actress Academy Award’. 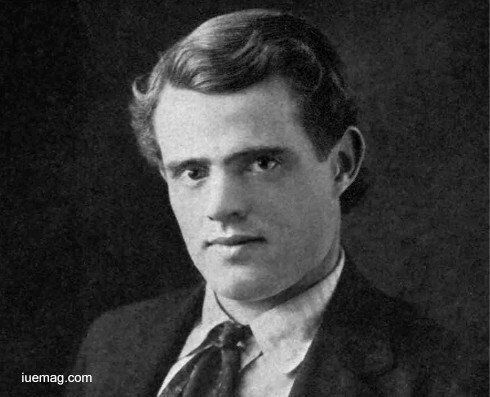 Jack London was also known as John Griffith Chaney was a prolific writer of the nineteenth century. He did not have a usual childhood like most of the children but he dealt with it and overcame his grief. He could not continue higher studies because of financial problems but this did not restrain him from becoming an author. When he was around fourteen years old he got employed at a cannery. In 1892, he joined the ‘California Fish Patrol’ department of the ‘California Natural Resources Agency’ and the following year, he was sent to the coast of Japan on a seal hunting schooner called ‘Sophie Sutherland’. His story ‘Typhoon of the Coast of Japan’ is based on this journey. He enrolled at the ‘Oakland High School’ and in 1896, joined the ‘University of California’, Berkeley with a desire to pursue a literary career. However financial constraints forced the aspiring writer to drop out of the institution a year later. The gold rush expedition made him a victim of the disease Scurvy and in 1898 he went back to his parents in Oakland, unaware of his step-father’s demise. Soon after, he decided to take up a career of an author and support his family. He had a vivid way of expression and was efficient in putting this in writing. He realized his flair for writing and decided to take it as a profession and began to write regularly. This helped him in gaining financial stability and enabled him to support his family, after his father’s demise. During his entire career he penned several stories, novels, poetry, and even autobiographical literary pieces. His various travel experiences later helped him in authoring short stories and novels revolving around different themes which continue to amuse the readers till today. 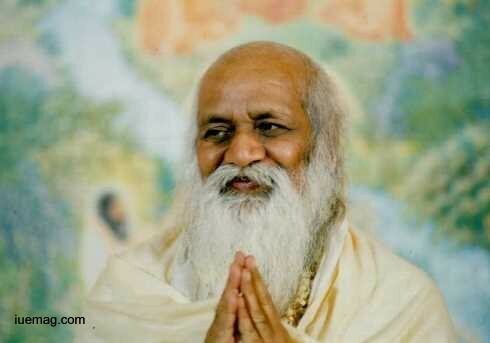 Maharishi Mahesh Yogi was a well-known spiritual leader and the founder of Transcendental Meditation technique. A disciple of Swami Brahmananda Saraswati, Maharishi wanted to popularize the traditional technique of meditation learnt from his Master. Hence, he started public teachings of the transcendental meditation technique and commenced a world tour to popularize it among the westerners. Maharishi Mahesh Yogi’s increasing interest in Vedic knowledge motivated him to translate and give commentary on the first six chapters of Bhagavad-Gita. Meanwhile, he worked on the audio-taped version of the text of ‘The Science of Being and Art of Living’. It was later transcribed and published. The in-residence courses and assemblies organized by Maharishi Mahesh Yogi in various countries, for over 30 years, proved beneficial for the practitioners of Transcendental Meditation technique. The TM-Sidhi('Transcendental Meditation') program designed by him is considered as an added advantage for experienced Transcendental Meditation technique practitioners. Group practice of this advanced program proves to be quite beneficial. The TM movement became very popular. Many scientists have found physical and mental health benefits of the transcendental meditation technique. They accredit the technique with reducing stress-related ailments. After touring UK and USA, in order to spread the Spiritual Regeneration Movement, Maharishi returned to India and organized his first International Teacher Training Course in Rishikesh, which aimed at training the experienced practitioners of the Transcendental Meditation technique. He also established universities to combine Modern Science with Vedic Science. He led humanity to a new era of peace and harmony. Today, there are more than 5 million followers of Maharishi, who seek to attain higher state of consciousness. Any facts, figures or references stated here are made by the author & don't reflect the endorsement of iU at all times unless otherwise drafted by official staff at iU. This article was first published here on 12th January 2017.